Julius Robert Oppenheimer (April 22, 1904 – February 18, 1967) was an American theoretical physicist and professor of physics at the University of California, Berkeley. 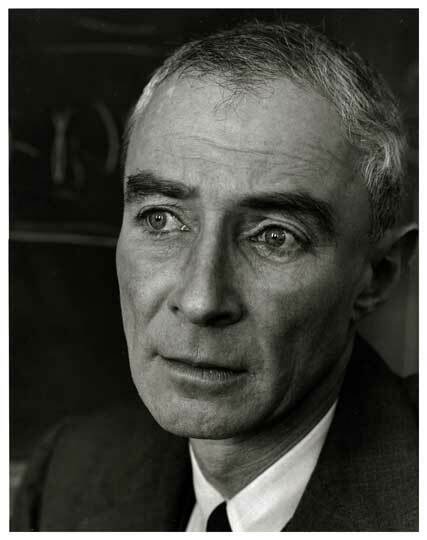 Oppenheimer was the wartime head of the Los Alamos Laboratory and is among those who are credited with being the "father of the atomic bomb" for their role in the Manhattan Project, the World War II undertaking that developed the first nuclear weapons used in the atomic bombings of Hiroshima and Nagasaki. The first atomic bomb was detonated on July 16, 1945, in the Trinity test in New Mexico; Oppenheimer later remarked that it brought to mind words from the Bhagavad Gita: "Now I am become Death, the destroyer of worlds." 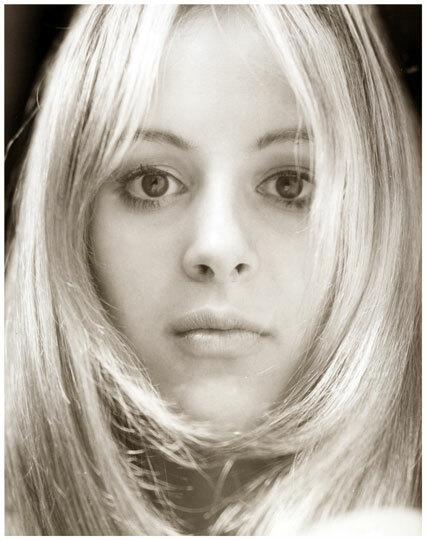 Original silver print 14 x 11 with Halsman's stamp on the reverse. No date.